Update 04/25/15: Another potluck for the girls and their Spring production of “Into The Woods” which was quite good. I ran into a NY Times article for mac ‘n cheese that I wanted to incorporate into my already existing recipe. According to Chris, I hit the nail on the head with this one. Modified version below. 12/15/14: Both of the girls were in a musical production, “Yes, Virginia” for their school: one on the tech team in charge of sound and the other on stage. They had rehearsal for nearly a month and this past week they were in overdrive with weekend practices and 3 hour practices during the week before their first official performance. On Saturday prior to their final matinee showing, there was a potluck for the cast and crew so I made the following potluck friendly mac ‘n cheese. In a large pot, bring salted water to a boil to cook macaroni per package directions for al dente. Using the stick of butter, smear around the inside of the crockpot to prevent sticking. Slice the remaining butter and set aside. In a food processor, puree the cottage cheese, evaporated milk, eggs, nutmeg, and S&P. 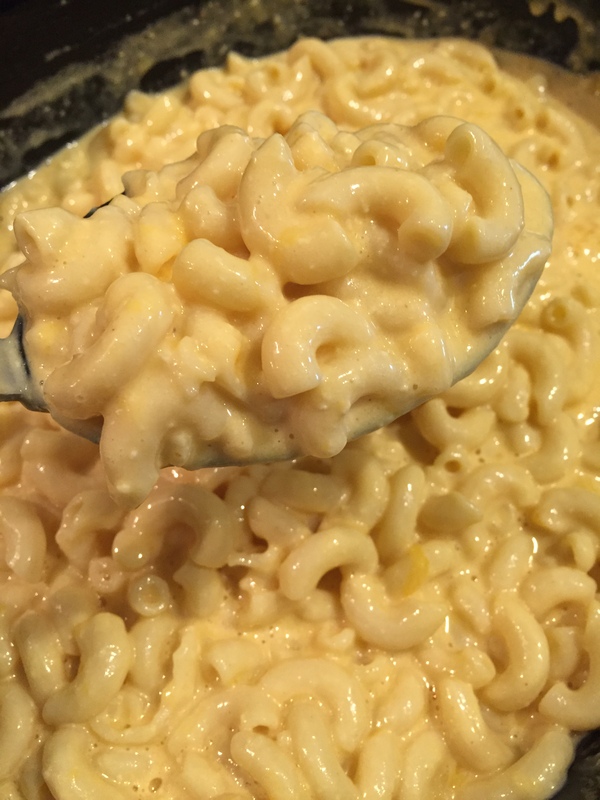 Once the macaroni is finished cooking, drain, rinse with cold water and add to the crockpot. Add the butter, pureed mixture, 2 cups of milk, Velveeta, and shredded cheese. Stir well to incorporate all ingredients. Turn the crockpot to the low setting and cook for 2 1/2 to 3 hours; stirring occasionally.